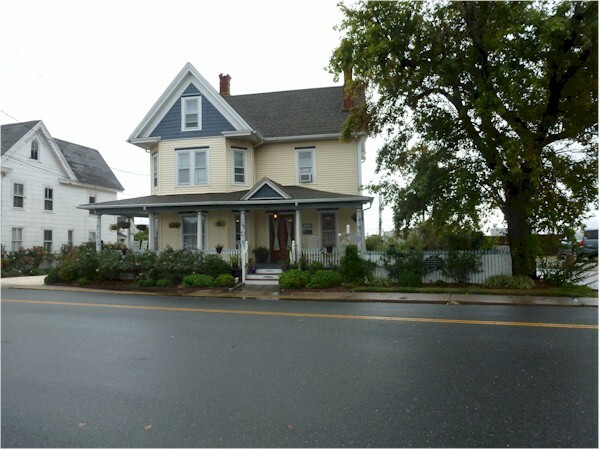 Original Content: On The Trail Of "Misty Of Chincoteague"
On vacations I like to visit author homes. This year I couldn't find an actual author home. 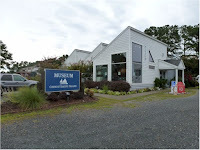 So, instead, we ended up spending a couple of nights on Chincoteague Island, Virginia. Yes, that's Chincoteague of Misty of Chincoteague fame. I read that book a long time ago. Loooong time. Pretty much all I remember is a pony...some kids...horses swimming... It was enough for me to drag my family there maybe fifteen years ago when we were driving south and saw a sign for Chincoteague. It was enough to take me back on this trip. However, I wasn't enthusiastic about rereading the book. As one of my relatives said, "You no longer want a pony." So I have nothing to say about the book. But I had a neat time on the island. And I have pictures. I'm not using any footnotes here. My info comes from signs on the walls in a National Park building, a municipal park kiosk, and a cool gift shop owner I was yakking with while waiting for the bearings on my bike to be replaced at Mid Town Bike Store, which I only mention because the place is fantastic. 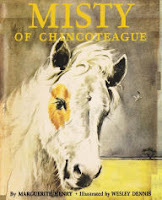 Okay, first off, Misty may be of Chincoteague, but she wasn't actually from Chincoteague. She was from another island, Assateague, which is close enough to Chincoteague that, if you are a healthy horse, you can swim from one island to the other. 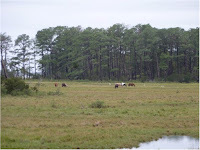 Interesting bit of trivia--two-thirds of Assateague Island is in Maryland. One-third is in Virginia, like Chincoteague. Who knew? They are descended from horses that escaped from sinking ships belonging to early explorers. They are descended from horses that were kept on Assateaue by settlers trying to avoid taxes. I kind of like that second story. It shows initiative. There are two herds on the island now. 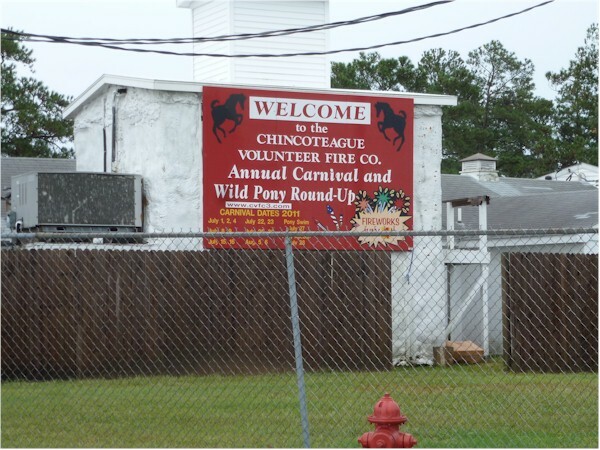 One, on the Virginia end of Assateague, has been maintained by the Chincoteague Fire Department for something like forever. 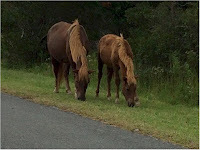 The herd on the Maryland side is maintained by the National Parks Service. 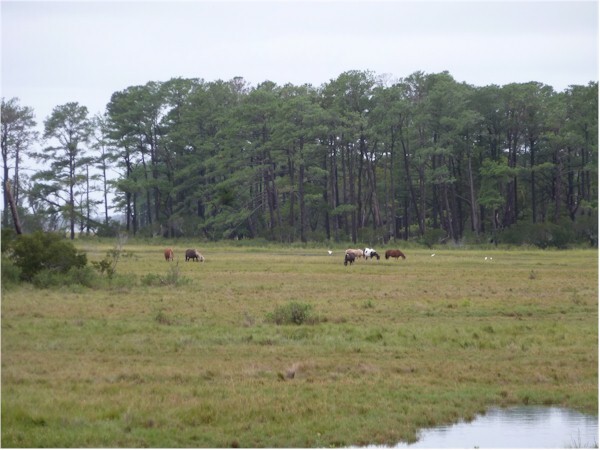 Maintenance means controlling the size of the herds so they don't destroy the Assateague Island habitat with overgrazing. Which, of course, would not be good for the horses, either. 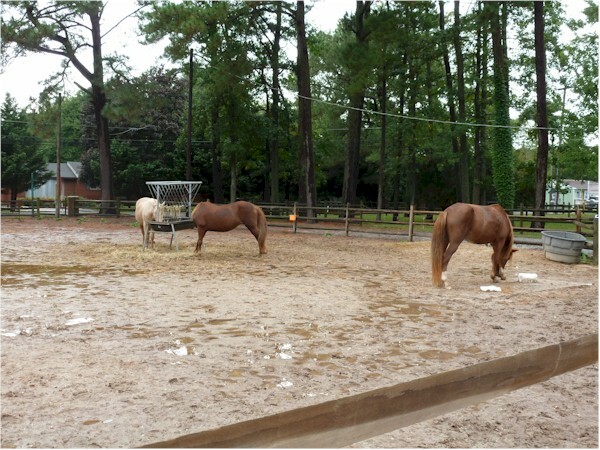 The Fire Department controls its herd with an annual auction of ponies that has been going for something like forever. 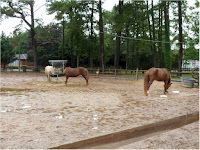 A vet selects horses on Assateague that are healthy enough to make the swim to Chincoteague at the end of July. 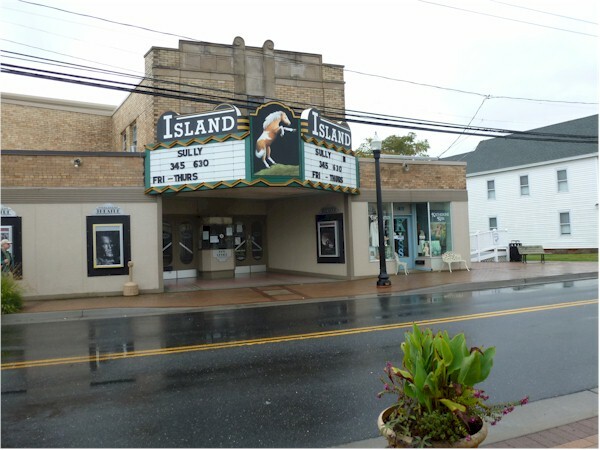 Supposedly ten thousand people descend on the island for the auction. Or maybe tens of thousands. I heard that, too. 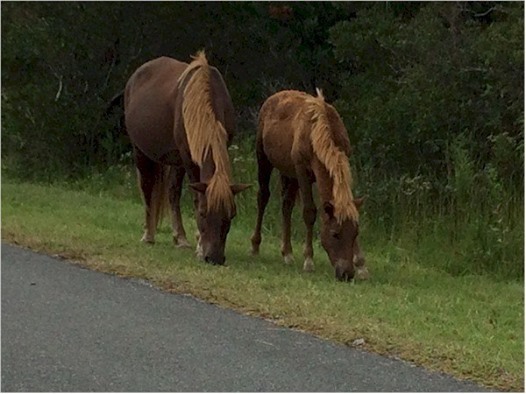 Horses that don't sell, swim back to Assateague. Why the popularity for these horses? They are now a designated breed. Some of these animals can sell for over $10,000, though the average price is significantly lower. Rumor has it that the National Park Service maintains its herd with neutering. Don't know what goes on with that. The Fire Department also runs a carnival at the time of the auction. 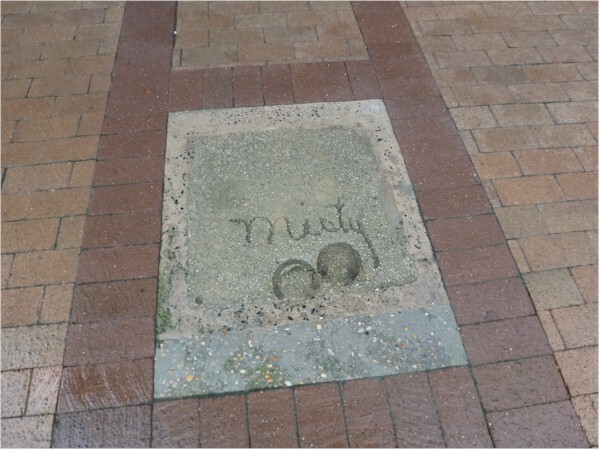 Early in the 20th Century, downtown Chincoteague experienced two serious fires. 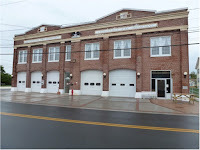 The fire department started running the carnival at that time, raising money for equipment to deal with crises of that type. What About Misty The Book? Author Marguerite Henry went to Chincoteague in the 1940s. She was already a published author, often writing about horses. (As a Vermont child, I was familiar with her Justin Morgan Had a Horse.) And there she heard about a pony named Misty and came up with her book idea. Misty of Chincoteague was published in 1947. It was a Newbery Honor Book in 1948. Yeah, that's all I've got about the book, because, remember, I didn't reread it. The inn in Chincotague where Henry stayed still exists, and visitors to the island can stay there. Though we didn't. Henry bought Misty, and the horse seems to have bopped around a bit between Henry's home...somewhere else...and the island. In 1961, a Misty movie came out. 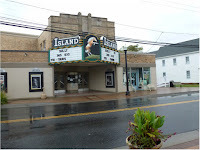 There was a premiere in the Chincoteague theater, which is still open. Misty showed up in town for this event. 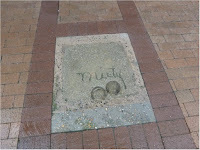 You can see her hoof prints in concrete outside the theater. And, wow, she signed them! Misty is gone, but...not really. You can see her in a preserved (stuffed) state at the Museum of Chincoteague Island. Happy to say, we weren't there on one of the days the museum is open, so I missed out on this treat. If you hunt carefully on-line, you can find a photo here or there of what you might call Misty's Afterlife. So there you have it people. Your Misty tour is complete. You can check out more Misty-related Chincoteague photos at my Following "Misty of Chincoteague" Around Town Pinterest board. Ah, thank you. That's it.